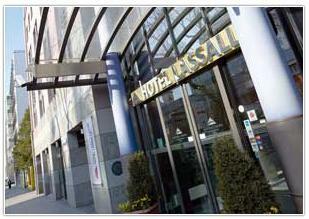 Hotel Austria Trend Lassalle, Vienna. Austria Trend Lassalle Hotel Vienna. The Austria Trend hotel Lassalle is found between the city centre and the United Nations Building, making it a perfect central location for those visiting the city on business or leisure. For those coming to the city with children, the Amusement Park "Weiner Prater" is nearby using the U1 underground as transportation. For those travelling on business, the hotel offers an extensive business and event planning facility that can help you plan the perfect seminar or special celebration in one of its private rooms utilizing the various technological accessories provided.